Who knows when fashion’s obsession over Parisian style started, but over the years, it has only gotten stronger. We’ve all read it before, how the French have that je ne sais quoi when it comes to their personal style and beauty routine. However, even if you’re quite skeptical of what’s so different about their mode de vie, you have to admit that every time you see French women on Instagram, their style is undeniably chic. Maybe it’s because they mastered the basics when it comes to essential staples in their wardrobe, how they make trenches and belted coats and alternating black and white bras under their white tees look so easy, or maybe it’s the bags they carry and how they never look how they need to spend more than five minutes looking for the keys in them. Whichever the reason, we’d like to further explore the latter today: bags. That being said, we researched some of the best French bag brands out there. From big luxurious brands we love and will always keep on writing the accents for to brands you might not have heard about yet to a label you might have already seen all over Instagram alongside all their lovely dresses, no matter which one you’ll gravitate toward, we assure you that you’ll be one step closer to understanding their cool and collected style. We love this blue color. 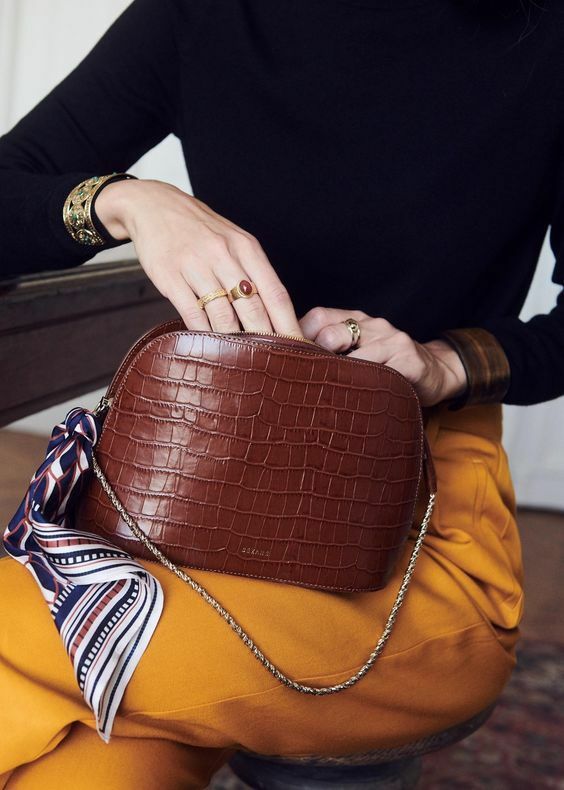 This circle bag is everything. This will totally fit all your essentials. Who wouldn't want a vintage Celine bag? How cute is this tiny bag? If you want a bag that will always add a pop of color to your outfit, this one is for you. We're loving the metal detailing of this purse. Geometrically shaped bags will always be a weakness of ours. A velvet circle bag? Take our money. Ideal work bag right here. Is it really a Jacquemus bag if it's not incredibly small? Because of course our coins need a bag all to themselves. If you want to master the French aesthetic, you should start with this bag. One can never have enough beaded bags these days. Keep the brand's new lipstick in the bag too. Instagram made us love this bag. A classic brown bag that will never go out of style. Who wants to buy us this one? Now, don't sleep on these French lingerie brands either.